Leonardo Collection porcelain dolls are mass produced, making them affordable to buy, but also typically resulting in a lower resale value. This is a guide about finding the value of Leonardo Collection porcelain dolls. I have recently come into approximately 20 Leonardo dolls some of which are duplicates. I have no idea how old they are or what they are worth. If you search on eBay you will find so many of these dolls being sold. They are dolls that are mass produced and don't bring much of a resale value at all. Most of the dolls are selling for 2 or 3 dollars each. When I was born my great nan brought me a porcelain doll, but I wasn't allowed to have it till I was older. I'm not interested in selling her, but I would like to know how much she is worth. She is a Leonardo Collector's porcelain doll and her name is Marilyn. Her face is porcelain and I reckon her hands are too. These dolls are beautiful and all but they are mass produced. The price people are selling them on eBay for are $10 to $20 only. Most of them are not sold and the listing is cancelled. These are mass-produced and worth less than what you paid. You could get $25 max. 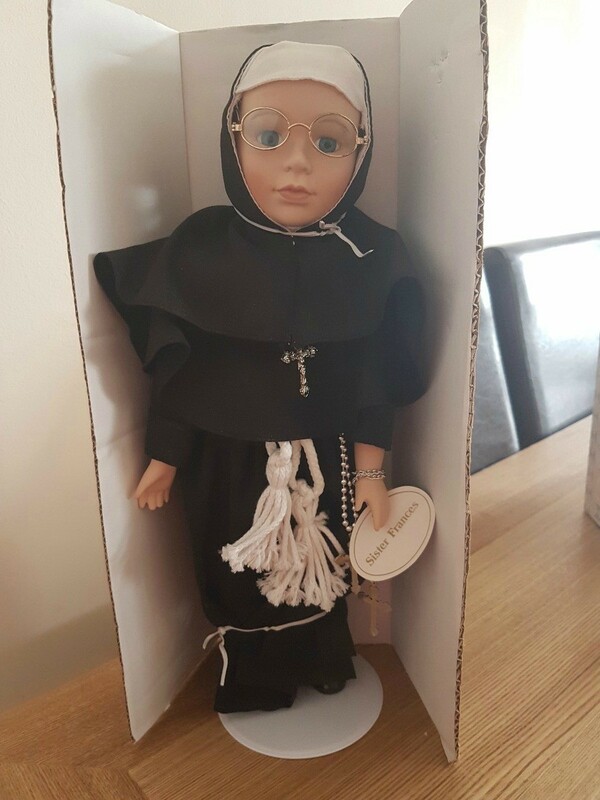 I have an immaculate Sister Francis doll with stand, certificate, and box. I just wanted to find out how much it may be worth. Thanks. We recently came across a Leonardo Collection doll, and bought it. Yet from the images online, she is very interesting and unusual compared to most of the other Leonardo porcelain dolls. We managed to find one on eBay which was in rather bad condition compared to ours. 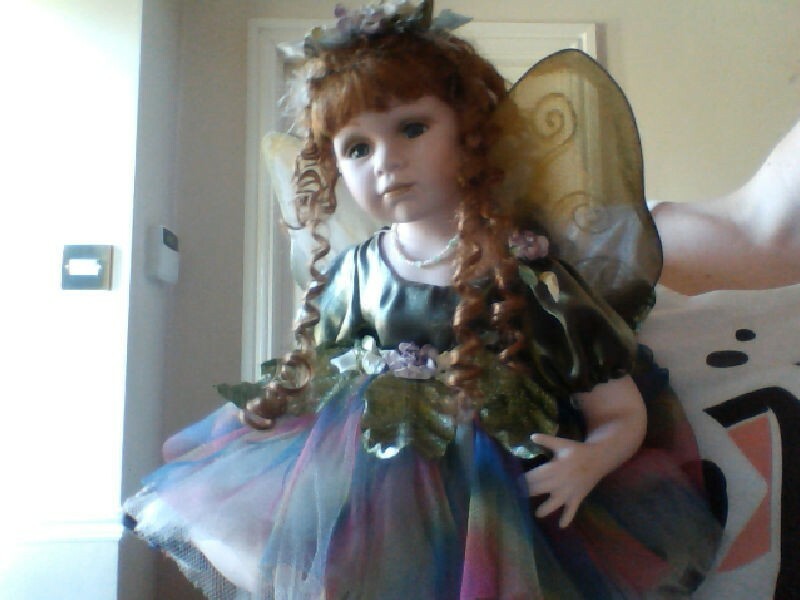 She has ginger curled hair, with a petit, realistic look on her face, with green blue eyes, she contains a green and white pearl necklace, she wears a mainly green dress, with leaves and flowers on it, then the tutu bottom to the dress has strokes of other colours, such as pink, blue and yellow, to finish off she wear solid green garment, then sandals at her feet. 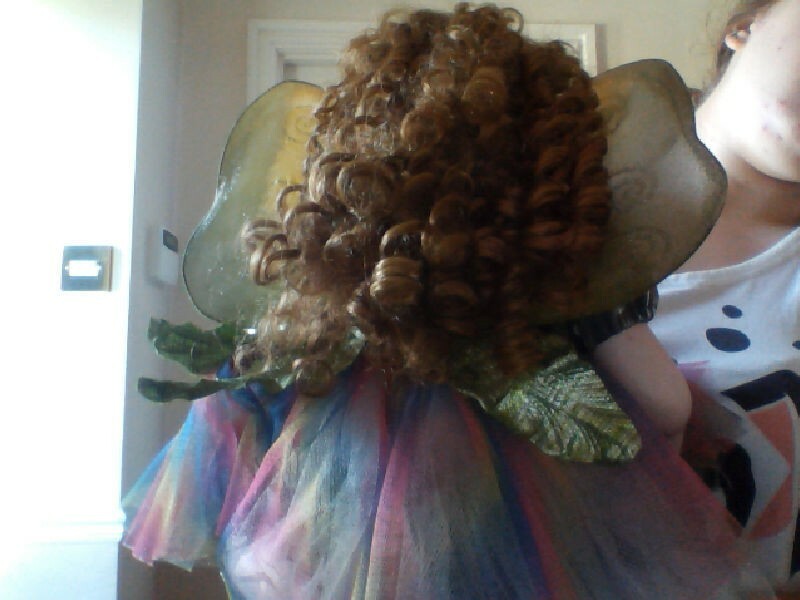 As I said before she is usually and it sat in a legs to the side position.i have failed to mention before she has angel like fairy wings. Thank you! These dolls are mass produced and rarely sell for very much - usually much less than the cost when new. Also, dolls are usually very hard to sell as shipping is expensive and a lot of trouble due to being very easily broken. Sellers sometimes list similar dolls for months and months and may never sell one. You can try Google, Amazon, Craigslist (best place for dolls as no shipping cost) and retry eBay for even similar dolls. These dolls are best bought just for yourself and not for resale. 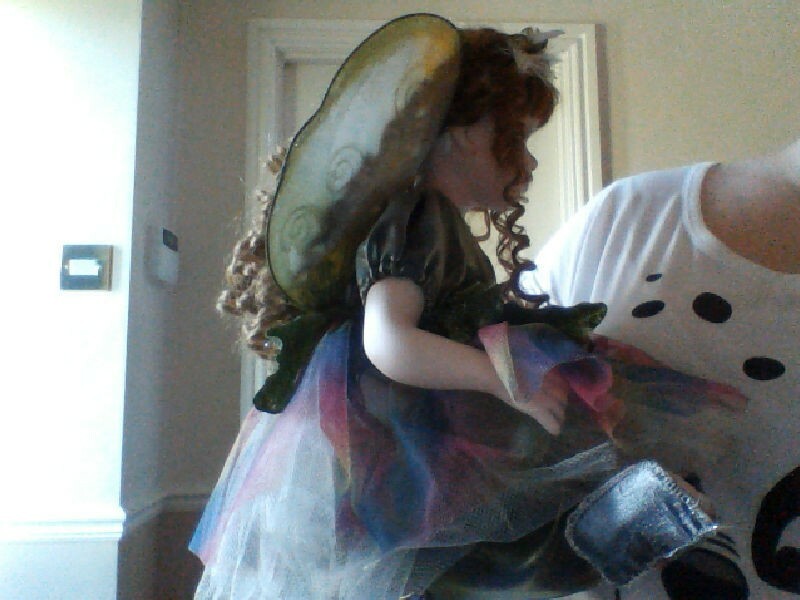 How much would a 55cm tall baby porcelain doll be worth? 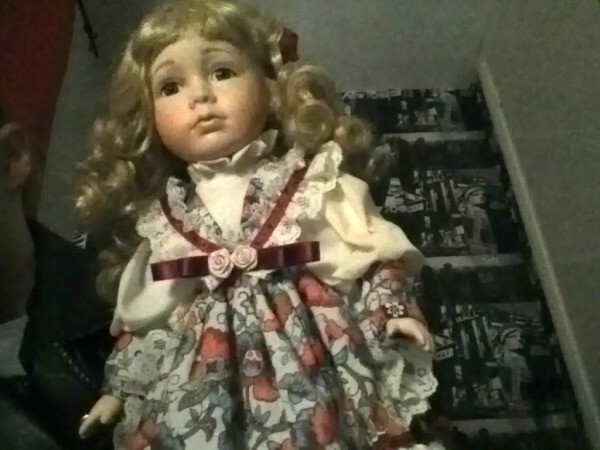 The doll is 55cm high by 25cm shoulder to shoulder. The doll has brown eyes, in a blue outfit and comes with a teddy bear and a blanket. 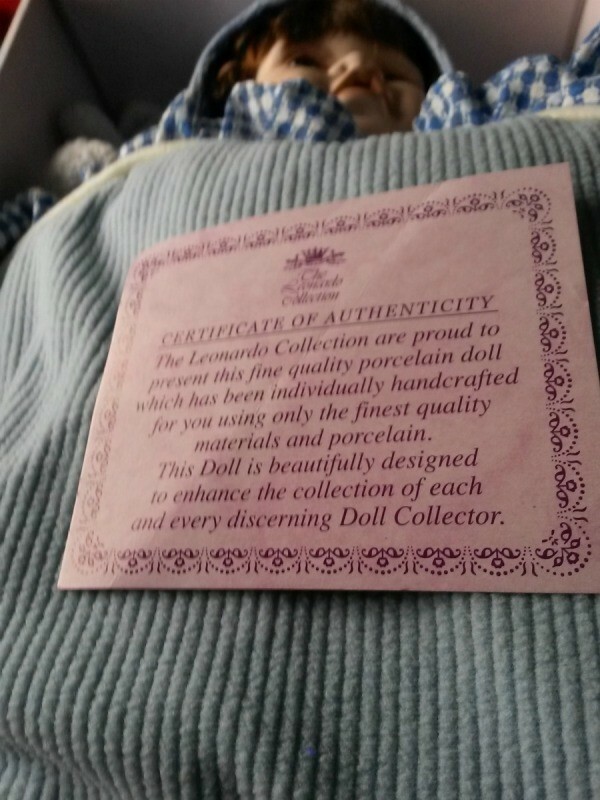 The certificate of authenticity is still with the doll and the doll is in an immaculate condition. The box which the doll is kept in has a few marks but just general after being stored for a while. Any help on this item would be appreciated. You can check out eBay, Google and other doll sites for information. I have a porcelain doll. It's from the Leonardo collection. It is a boy dressed in soft fabrics and delicate lace. His name is Robert. Everything is in good condition. You should research eBay, Craigslist, and Google for information. How much is Rhona, from the Leonardo Collectors collection worth? What is the value of Lp1466? Her name is Heather. There is a crown with swords on top of the box. The doll and box are in excellent condition. She is dressed like she is from Ireland or the UK. Just looking at the way; her hair is red. I want to know the value of this doll. I have a Leonardo Diane doll approximately 30/40 inches in size. I have no idea if it's old or new and would like to know how to find out if it is of any value.